If your organization has an internal HIPAA Privacy Officer, or someone who will independently perform a HIPAA Security Risk Analysis as part of a comprehensive risk management program, this option is the most cost-effective. 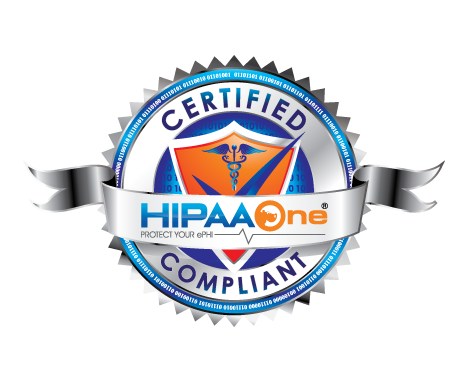 This process covers the HIPAA Privacy Risk Analysis or Security Risk Analysis using our step-by-step, guided HIPAA One workflow. Our certified audit team will kick off the process by setting up the software and providing an initial consultation meeting. The team will offer unlimited support throughout your project to ensure completion. The software comes with delegation, role-based setup and is designed to facilitate collaboration among departments. Consider this solution where our certified-audit team will provide a full analysis of each response ensuring appropriate controls are in place and functioning properly. Our team remotely provides all deliverables, physically reviews the checklists and documents, and provides remediation planning guidance and support. It concludes with us reviewing and signing off the final report. If your organization needs additional resources to complete the privacy analysis and desires full guidance, consulting and training, the remote delivery saves on travel costs and offers reduced professional service fees. Designed with larger organizations in mind or for organizations desiring “boots on the ground”. The Remote Risk Analysis package is accelerated with on-site visits, a physical walk-through to check for physical security, ePHI media, encryption, malware & software patches, on-site remediation planning and an executive presentation. This is the traditional on-site and consultation desired by many organizations and provides the maximum impact.